YES! I Want To Donate & Get Moe’s Notebook! The HEAL Foundation is a local non-profit organization in Northwest Florida. HEAL serves individuals and families living with Autism Spectrum Disorders. Helping kids with Autism is a cause that I believe in. And in no small part because I believe if he were alive today, Moe Norman would be classified as autistic. So today – you can get instant digital access and the 3-DVD set of “The Notebook” rush-shipped to you for just $57 (over 50% off). And I’m donating $17 from every purchase to HEAL. There is more than I cover here on this 3-DVD set… but I guarantee it will change your game for the better- AND be a lot of fun to watch! 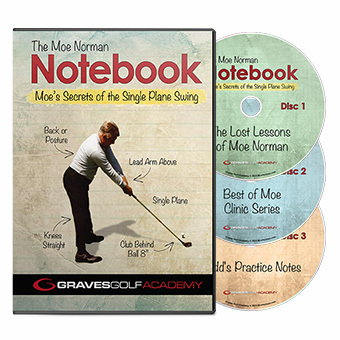 The never-before-released video:Lost Lessons of Moe Norman This video features Moe during a one-on-one swing clinic with Dr. Jim Suttie. It’s over 45-minutes of in-depth instruction on developing The Feeling Of Greatness in my swing! This video shows Todd Graves breaking down each element of Moe’s simple swing. 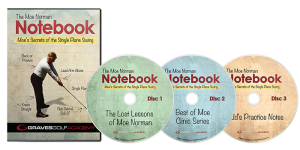 The video is shot off of Todd’s extensive notes that he took over 11 years as a student of Moe Norman. 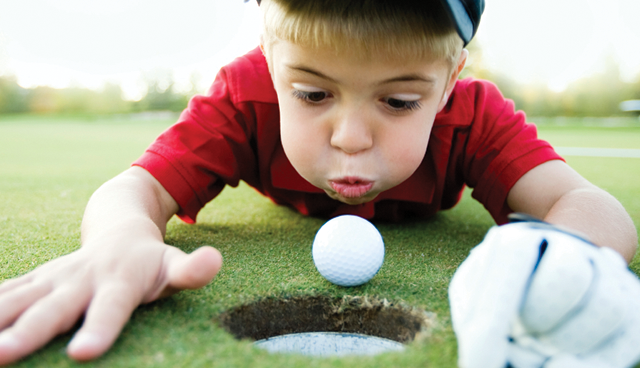 Watching this video and doing what it says can turn me into a “365-day” golfer. The must-have compilation video: Best Of Moe Clinic Series! Moe shares his wit, wisdom and genius during various clinics and interviews. This video should be in every Moe Norman fan’s golf video library. And it’s gonna be in mine! P.S. 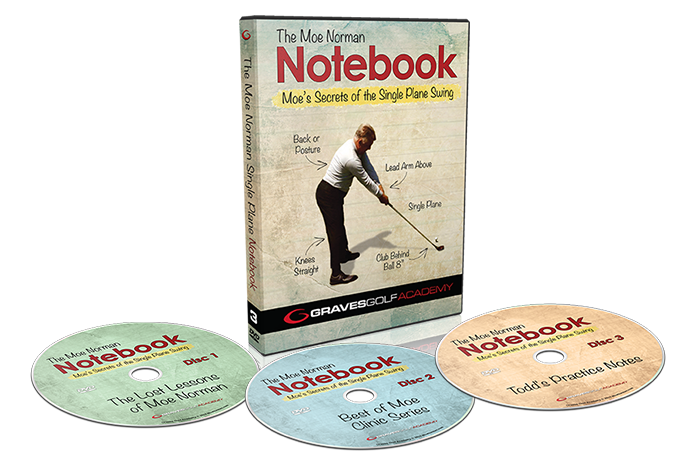 Remember – if you have the Notebook already – go ahead and place the order and email Tanya at support@moenormangolf.com and we’ll get you a different DVD instead. Help Change Lives And Donate $17 to The HEAL Foundation To Help Those With Autism. You’ll get instant digital access to the Notebook and we will rush ship your DVD’s as well. Click Here To Donate And Get Your Instant Access!